Our aim is to bottle wines that are a true expression of the Swartland. and we pay the highest possible attention to detail in everything we do. A natural, minimalist approach is followed both in the vineyards and cellar. tannins, enzymes, or fining and filtering agents. 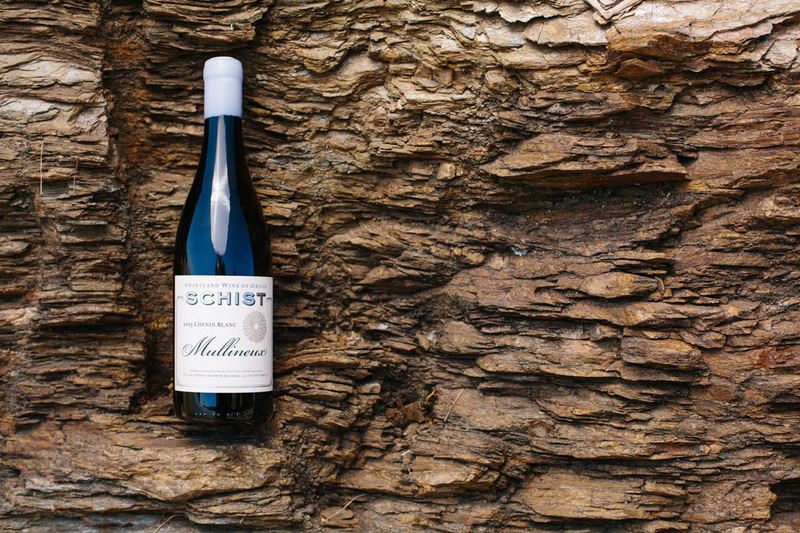 Three main soil types have evolved in the Swartland from the parent materials that dominate the area, these are shale/schist-, granite- and iron-based soils; each with very different characteristics and therefore creating unique growing conditions. Wines produced from schist-based soils tend to have blue fruit and earthy character. They are well structured with good acidity, and form the backbone of any blend. Granite soils consist of a sandy topsoil that is extremely well drained, but the thick, dense layer of clay (which often lies meters below the surface) acts as a slow release sponge for the vines deeper roots over the summer. Wines from granite soils tend to be exceptionally pure with a granitic perfume and nervy acidity. Vines grown in gravel & iron based soils struggle to grow, as there is never excess water about (resulting in extremely low yields) but they are protected from serious stress by the soil’s water retention capacity. This helps the vines towards the end of summer, when it is very dry in the Swartland, allowing them time to build complexity and tannin in the grapes. Wines produced from these soils tend to be deep in colour and are very concentrated. They easily show reduction, while being structured and grippy on the palate. They bring loads of mid-palate to any blend. Although viticulture in the Western Cape is relatively young, the geology is quite old. Our vines are planted on the most ancient viticultural soils on earth, and we need to go back half a billion years to see how the landscape evolved. Through tectonic collisions and of the continents some millions of years ago, the shale based soils found in the Malmesbury area were infused by Magma, from deep within the earth. It rose along the continental fault line into the thick shale deposit, and slowly cooled and crystalised into the granite rocks and hills we see exposed today. Later, because of the continents separating, it caused the surface to subside and become covered from the north by very deep deposits of Sandstone, called the Cape Supergroup. What is left today are sandstone remnants like Kasteelberg and Piketberg (1000-1300 m altitude), resting on granitic and shale foothills and associated with exposed graniteoutcrops such as the Paardeberg (500-700 m altitude) and ranges of shale based hills like Porseleinberg and the Malmesbury hills (200-400 m altitude), surrounded by undulating Malmesbury shale landscapes. As human beings, we are given such a short time on this planet to work with the land. It is humbling and exciting to keep this ancient history in mind, and as our vineyards grow in soils derived from all this tectonic activity, it is fascinating to think of the links between how the earth evolved and how wines grown in different sites taste. These humbling thoughts are the fundamental reason for our natural winegrowing and winemaking approach as we strive to bottle wines that reflect the Swartland. Syrah (or shiraz) is our focus. Revered for the esoteric wines it produces in the Northern Rhône regions of Côte Rôtie, Hermitage and Cornas, it is a versatile grape variety that is starting to really prove itself in parts of the Cape (and especially the Swartland). Chenin Blanc originated in the Loire Valley. Though its date of arrival in South Africa is unknown, Chenin has for ages been the most widely planted grape variety in South Africa, with many blocks of gnarled old vines scattered throughout the winelands today. Grenache Blanc originated in Spain (it still plays a role in Rioja and Navarra), and spread to the South of France, where it is now widely planted. 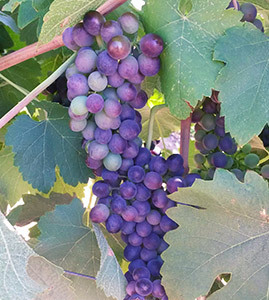 Like Grenache Noir, it is drought resistant, vigorous, and ripens late in the season. Clairette is one of the oldest Southern French varieties, and is used in the sparkling wines of Clairette de Die, as well as going into some of the best white, rosé and red wines of Southern France. It copes with heat and in the Swartland ripens late in the season, at relatively low sugar levels. Viognier has been cultivated in the Rhône valley since the the Roman Empire, and reaches its peak in the tiny appellations of Condrieu and Château Grillet in the Northen Rhone. Voignier ripens early in the Swartland. Bunches turn a straw-gold colour when ripe and at this stage one can taste in the grapes the intense peach and apricot hallmarks it is famous for. 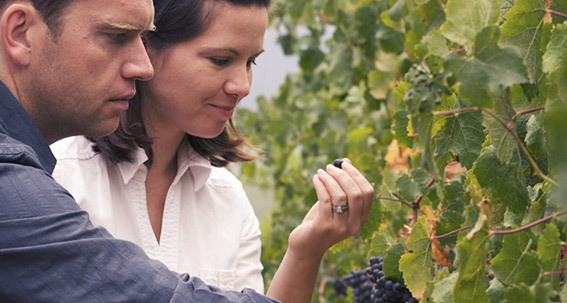 The Swartland is perfectly suited to natural methods of farming. Very low summer rainfall coupled with afternoon and evening breezes off the Atlantic Ocean result in low disease pressure. Vineyards are often planted in amongst the natural rhenoster veldt and fynbos, which provide refuge for predators of vineyard pests, and help reduce the spread of disease. Weeds struggle to establish themselves and spread, making it easier to control them without the need of herbicides. 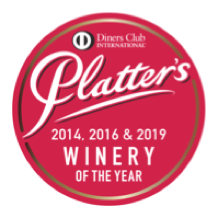 We have put together a group vineyards in the most interesting parts of the Swartland, which are mostly found around the shale and schist based Riebeek Kasteel Mountain, and the granite based Paardeberg mountain. Our vineyards are planted with grape varieties (which are mostly Mediterranean in origin) that are ideally suited to the environment, and are farmed sustainably and in harmony with their surroundings. 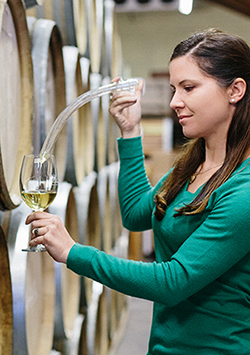 Our absolute focus is on bottling wines that are a true expression of the Swartland. To achieve this we follow a winemaking approach that is as natural as possible.We do not add any yeasts, acids, enzymes or other chemicals that may hide or disguise the character of our vineyards. Grapes from the Swartland give a lot in the way of natural extract and character, and to maintain elegance, we make sure not to go crazy on extraction. On average this means one or two gentle pigeages per day through fermentation, and a longish 4 to 6 week total maceration which helps to focus and round off tannins. Wines are pressed directly to barrel for malolactic fermentation and maturation. Though all our wines are aged in French oak barrels, we adjust the amount of new wood so that it does not interfere with the personality of the vineyard. We are also tending to use larger barrels (called demi-muids) of 500 Litres, and 2000 Litre Foudre. The wines are racked as infrequently as possible, and are bottled when ready, unfiltered and generally unfined, with moderate sulphur levels.